(Vienna) – In order to support the countries of the Western Balkans on their way to the European Union the Austrian Parliament together with the European Fund for the Balkans (EFB) and with the support of the ERSTE Foundation launched the fellowship program for parliamentarians from the WB6 parliaments. A press conference and signing of the Memorandum of Understanding between the representatives of the Austrian Parliament and the European Fund for the Balkans was held today in Vienna, and it marked the official start of the this newly established programme entitled “EFB Fellowship at the Austrian Parliament”. The Fellowship is a practice-oriented educational programme for civil servants working in the National Parliaments of Western Balkan countries. The purpose of the programme is to give impetus to the EU integration-driven reforms of the Western Balkans’ parliament’s administrations, through building the capacities of individuals, who are acting as the agents of change. It targets ambitious public administration professionals with a strong commitment to contributing to the development of their societies who are lifelong learners, acquiring skills and broadening their horizons throughout their careers. 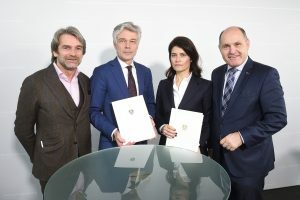 It will enable the public officials working for the WB6 Parlilaments from Albania, Bosnia-Herzegovina, Kosovo, Montenegro, Northern Macedonia and Serbia to get to know Austria’s parliamentary work during a period of six weeks work in the National Council and its legal, legislative and scientific Service, as well as the IT, Communications and the EU Departments. The call for applications is already active and it can be found at the following link. 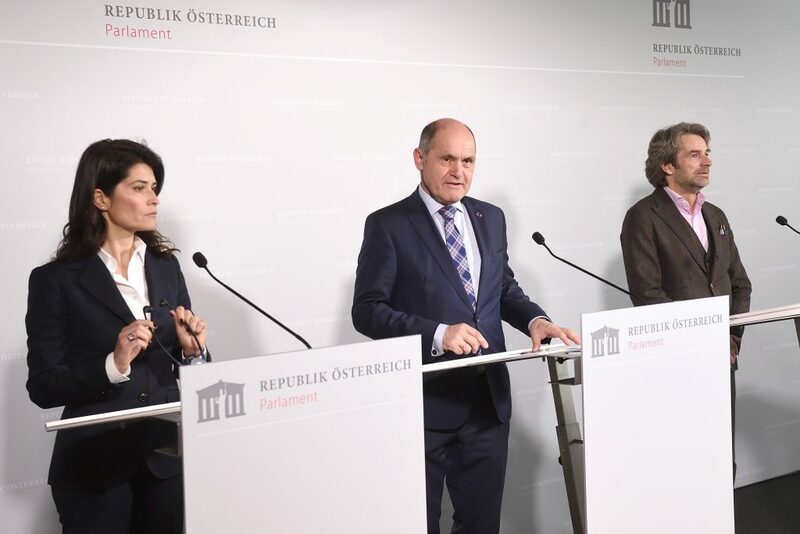 The President of the Austrian National Council Wolfgang Sobtoka emphasized the fact that Austria’s historical responsibility in this region should not only be reflected in the political processes or the economic expansion, but also in the concrete initiatives by the Parliament. -The states of the Western Balkans deserve a credible European perspective. To accompany you on the way to the European Union is in the interest of all of us. 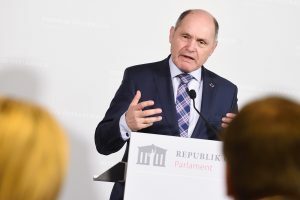 This is especially important at the level of parliaments where the European fundamental values ​​such as democracy and the rule of law are supported and strengthened – said Sobotka. A peaceful Europe is only possible with a stable region in the south-east of Europe, and great efforts are needed to prevent the break out of the conflicts from the past. He shared his regrets that the integration of the Western Balkans within the EU had stalled due to other issues on the European agenda. According to Mr.Sobotka this new programme and the similar initiatives coming from Austrian side are not just about taking care of this region, but also about raising the voice against the skeptical member states. -It is clear, however, that there will be no green “accession light”, and the Western Balkans countries would have to do their homework. Since the questions of the rule of law and the strengthening of democracy are among the essential points in the process of rapprochement of the Western Balkans, the parliaments will have a very important role in the whole process and that is why we are focusing on their work. In order to anchor the course towards the EU irreversibly in people’s minds and hearts, the initiatives such as the parliamentary fellowship program are particular important to us as – said Sobotka. Milena Stefanovic, Programme Manager of the European Fund for the Balkans (EFB) who signed the memorandum on behalf of the EFB, said that the 10-year fellowship program of the European Fund for the Balkans for government officials has now been supplemented by this initiative of National Council’s President Mr. Sobotka and the new fellowship for the parliamentary staff. 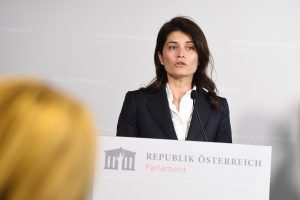 The Austrian Parliament is the first national parliament to co-operate with the EFB in this form and thus it is a pioneer. -This would also strengthen and support the activities of the Fund, particularly in terms of building and strengthening the administrative capacity and institution building, in which parliaments play an important role. EFB objective is also to build strong community, to connect people within the region, but also with their colleagues working in the public sector of the EU member states, since the knowledge and experience transfer is extremely valuable in the process of institutions building. By investing in this people, we are investing in a community of people capable of changing and modernizing our societies, people that would defend public interest and keep working as independent professionals for the wellbeing of the citizens. On the other hand, there is no stable Europe without a stable Southeastern Europe – said Stefanovic. 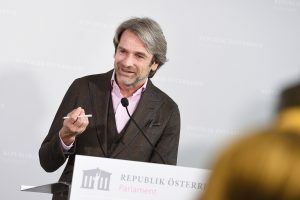 Boris Marte, Deputy Chairman of the Erste Foundation Board, congratulated the Austrian Parliament on the idea for the fellowship program and said that there are not so many initiatives like this one that can foster the European partnership in the region. At the same time he warned against the increasing influence of Russia, China or Turkey in the Western Balkans, and pointed out that Europe should not lose the democratic forces in this region, because there are many. The European Fund for the Balkans as one of the leading regional organizations is also an important initiative for support of the cooperation in the Western Balkans. All pictures © Parlamentsdirektion/Johannes Zinner.